There is nothing like returning home after a long day at work on a hot summer day and plunging onto your sofa as the crisp air flows out of your AC unit. However, more often than not, people have to settle for a singular cool room, as most old models have limited effectiveness. From time to time, we can open all the interior doors and let the cool air spread to every nook and cranny. Unfortunately, this usually means you will needlessly ramp up your electricity bill. This is where a split-type air conditioner comes in, and here is what makes it such a good concept. What exactly are split-type systems? When you have a lot of work, asking for help will usually result in saving both energy and time. Splitting the workload is the best way to achieve an effective result in every way, and in a way, you can compare this to split-system units. Essentially, evaporation and condensation are two AC unit tasks which are exclusively dedicated to two different heat exchangers which are physically separated – evaporative unit is on the inside, whereas the condensing unit is on the outside. If you want to learn more about how these units work, follow this link. This sort of a setup gives you quite an advantage, as you can cool several rooms with a multi-zone system from a singular outside (condensing) unit. Essentially, you can have several indoor units which work very effectively even though they are connected to a single outside unit. The distance between the inside and the outside unit is refreshingly modifiable, according to your needs. It is flexible and non-invasive, especially when compared to the increasingly unreliable duct systems. The only disadvantage is the initial pricing of setting it up, which can be quite steep, but if the system is more effective, it means you will spend less electricity overall. Is it a prudent investment? 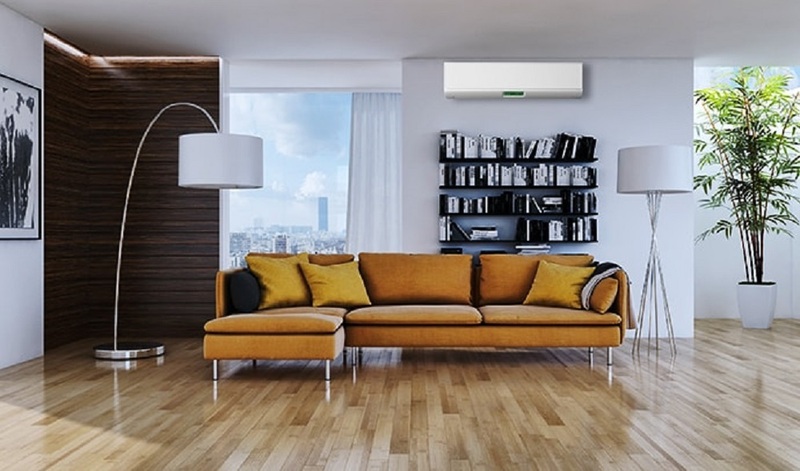 If you are moving into a new home, it would be a prudent investment to install the split-type air conditioner immediately, especially if you’ve decided to live in a house that has many extra rooms and two floors. Even if you already have a duct system installed, the professionals can add the new unit. 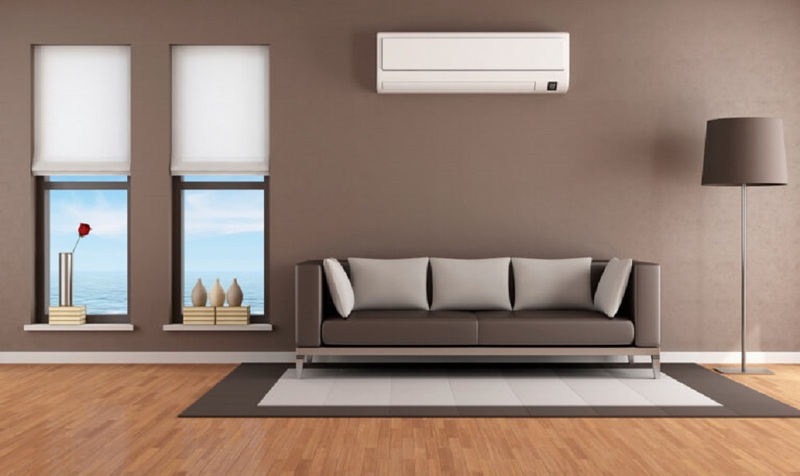 The beauty is that one does not necessarily exclude the other due to the base engineering differences, and considering the accumulating difference in the electrical bill at the end of each month, it is an investment that will pay off manifold over the first two years of using this type of air conditioning. Many respectable companies are seeing a potential in this enterprise, and Frigidaire mini split air conditioners are known as reliable systems that last for a long time. Can you enjoy the sound of silence? Sometimes, it is hard to appreciate certain fine details and advantages until they are gone. On paper, you might be fine with duct units and other clunky, old AC equipment, but once you are faced with a sleepless summer night due to the incessant buzzing of the air conditioning fan in the windowed unit, you will think again. Nobody should be forced to choose between incessant sweating in their sleep or meditating for the rest of the night to the buzzing noise, and this is where split-type units come in. The compressor is actually the part that makes the most noise, due to the fan that cools the condenser. A split-type air conditioner is not only a cost-effective way to cool down your household, it is also an ecologically sensible solution. It is slowly emerging as a sensible and popular variant to classical models that eat up electricity like crazy and have a noticeable impact on the environment. The longevity is also a crucial factor that attracts many customers to split-type air conditioning, which only adds to the killer-combo of factors that make it worthwhile.